Over Christmas break, I resurrected an “oldie but goodie” recipe that I hadn’t made in ages. I sort of forgot about it until a few weeks ago when a friend of mine made it for dinner. I immediately realized that it would be a perfect addition to all the other simple recipes on my blog — so today, I’m sharing it with you! 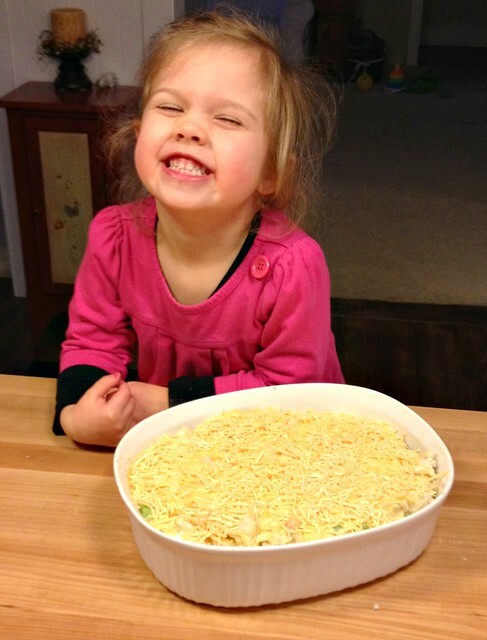 Nora has SO much fun helping me layer the different ingredients — there’s really no way she could have messed it up. 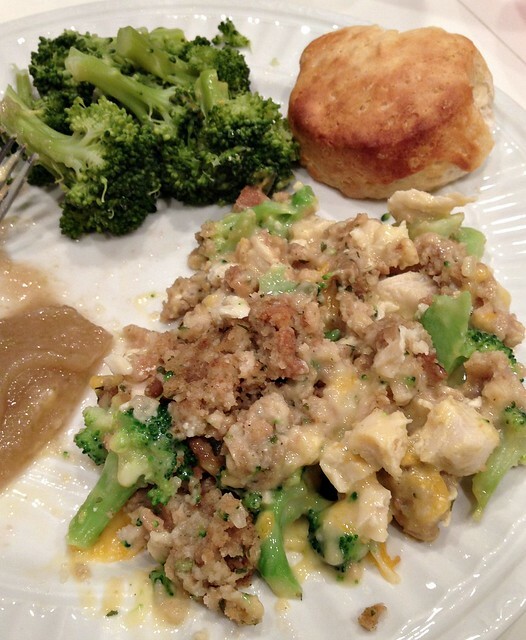 If you’re looking for another simple, tasty meal to add to your recipe roundup — or just a way to use up the last of your holiday leftovers, give this chicken and stuffing casserole a try! One of the many reasons I love this recipe is because it can easily be made in the morning and just popped in the oven later in the day. I also love that since I use the Herb Stuffing Mix, I don’t need to add any additional seasonings. It’s amazing how much flavor it has even with no additional seasonings… or even salt and pepper! Of course, if you prefer a more “from scratch” approach to this dish, feel free to make your own stuffing (or use leftovers from the holidays) and make your own cream soup. 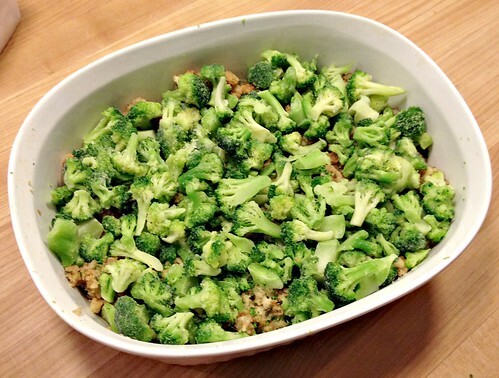 You could also use fresh broccoli — but you’ll want to cook it about half way before adding it to the casserole. This is a perfect meal to make on a cold afternoon… especially after the holidays since I always seem to have leftover stuffing and chicken or turkey. 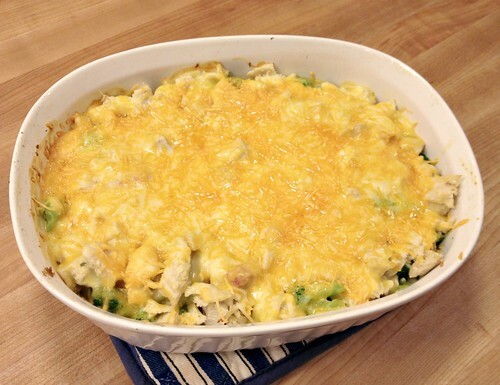 What are your favorite casseroles? Thank you, thank you for this! It was delicious and comforting on an extremely cold day. The only change I made was to add chopped onions for a sharper flavor. Looks good! Anytime you use cream of mushroom soup, it just seems to make everything good! Did Nora like eating it as much as she liked making it? :). It is one that all of my kids like. In my recipe the stuffing actually goes on top. I’m sure it doesn’t have a big taste difference, but maybe a little bit of a texture difference? 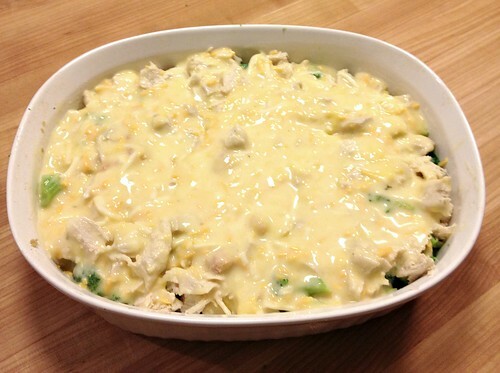 I have another recipe that is similar that is called Chicken Cordon Blue Casserole. 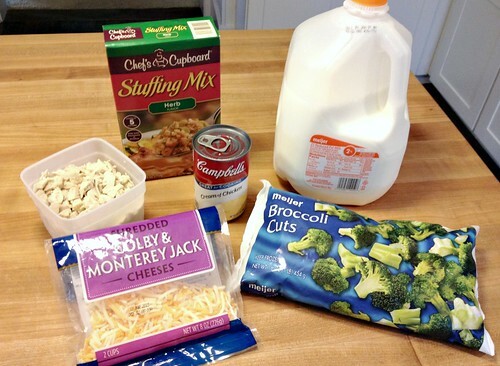 It has chicken, ham, cheese, & cream of chicken soup topped with stuffing. Also really easy & delicious! yes, she ate it very well — and leftovers the next day! 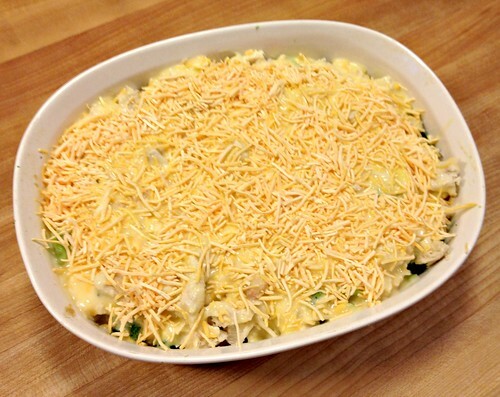 The chicken Cordon Blue casserole sounds fabulous too!! We have been enjoying Bruschetta Chicken Bake since this fall: http://www.kraftrecipes.com/recipes/bruschetta-chicken-bake-65546.aspx. 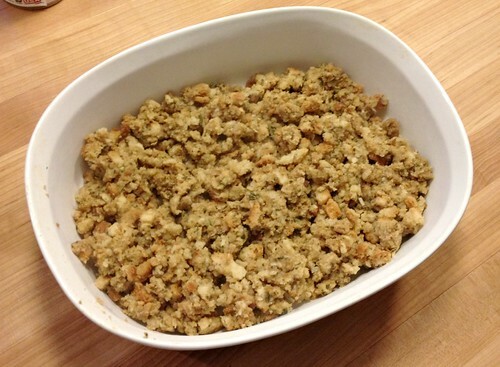 It’s another stuffing recipe, and very simple to make. So funny, just this week I was thinking of making this same meal. Yum! It’s a real comfort meal. 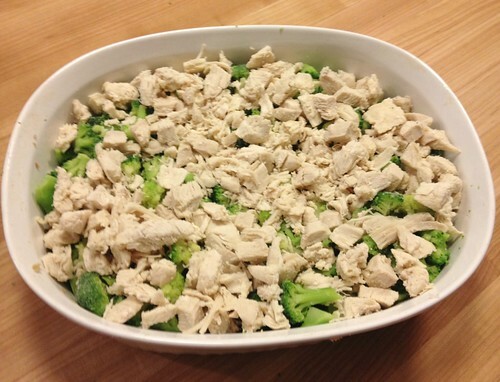 yes, really yummy (and easy) comfort food!